The opposition Waddani party accused the government of not listening to their demands, the government lashes out. The centre of the dispute is the members of the National Electoral Commission. Waddani wants the current members to leave office and claims that they cannot trust them to hold an election. The ruling party argues that there is no reason to do so. The last House of Representatives election took place in 2005. The term of the House is 5 years. It has been getting recurrent extensions. Weeks ago, the Guurti again extended the House’s term to January 2020, meaning the election has to take place in December 2019. With no agreement, this seems impossible. It is not only this dispute that is challenging holding an election, but electoral laws are not passed. The main dispute is the allocation of the seats of the House of Representatives. 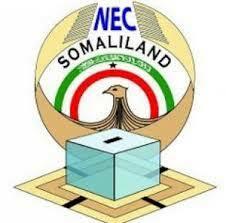 Extension of terms and postponement of elections become a reality in Somaliland which never held an election on time.